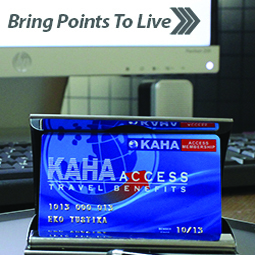 KAHA Tours & Travel travel service providers deliver KAHA Access Membership which is a membership program. KAHA Call Center provide the expectations services for speed, accuracy and certainty hotel reservation process. We provided the hotel reservation facilities in all over Indonesia as well as available hotels worldwide. KAHA Tours & Travel flight ticket booking service with plenty of advantages. KAHA Wholesaler is the reseller for hotel reservation services the Indonesian hotel. A KAHA service for corporate individuals or groups with high level of mobility. KAHA Holiday – called KHO is a travel agency registered as one of ASITA and IATA member. an online travel agent developed and operated by PT. Karya Harmoni Indonesia.